Here’s a nice for a large TV in a cute, nicely updated older bungalow in the Heights (Houston). Originally it was painted grey. 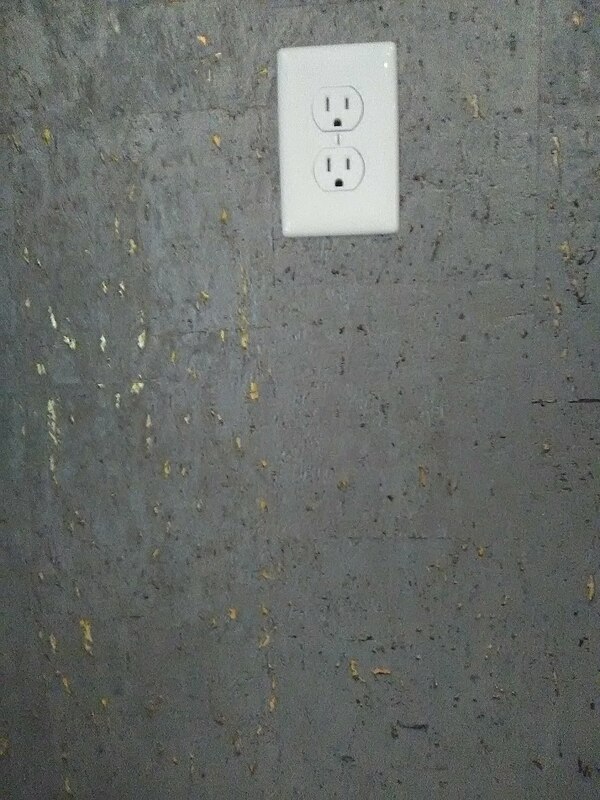 In the top photo, I have smoothed the textured walls and primed. 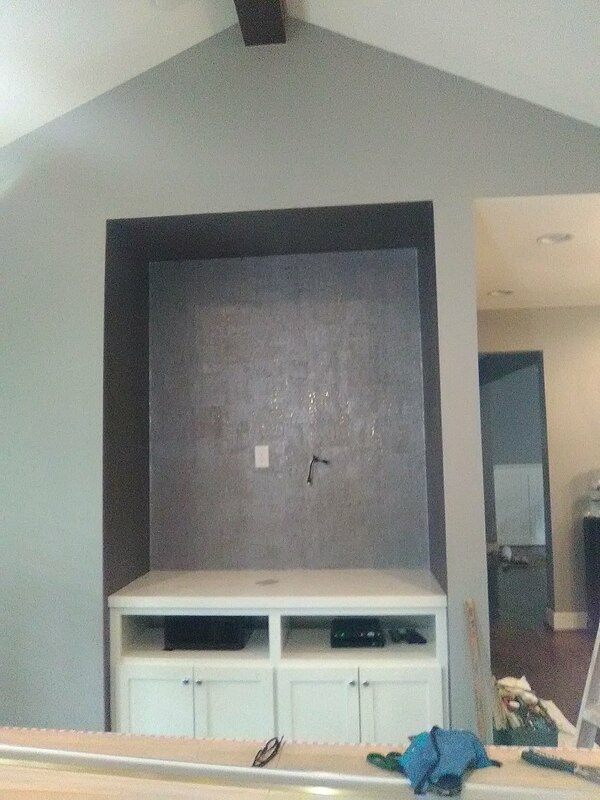 The wallpaper material is a pewter colored metallic cork, with flecks of gold tossed in. The pictured don’t do it justice – it is sophisticated and gorgeous. In fact, these metallic corks are pretty popular for people who want texture with a bit of glamour and even edginess. It comes in different colors. 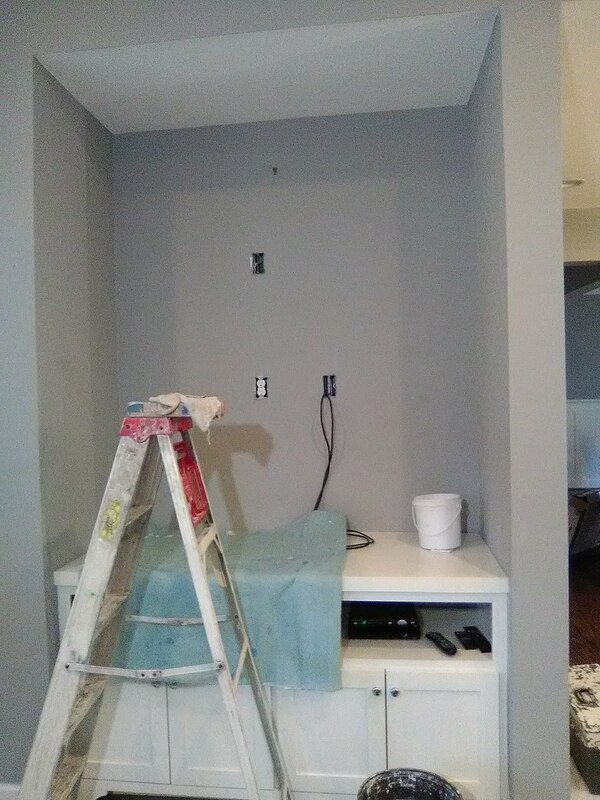 I have this same pewter color coming up in another home, and have hung it many times in the silver color. Do a search here to see pics. 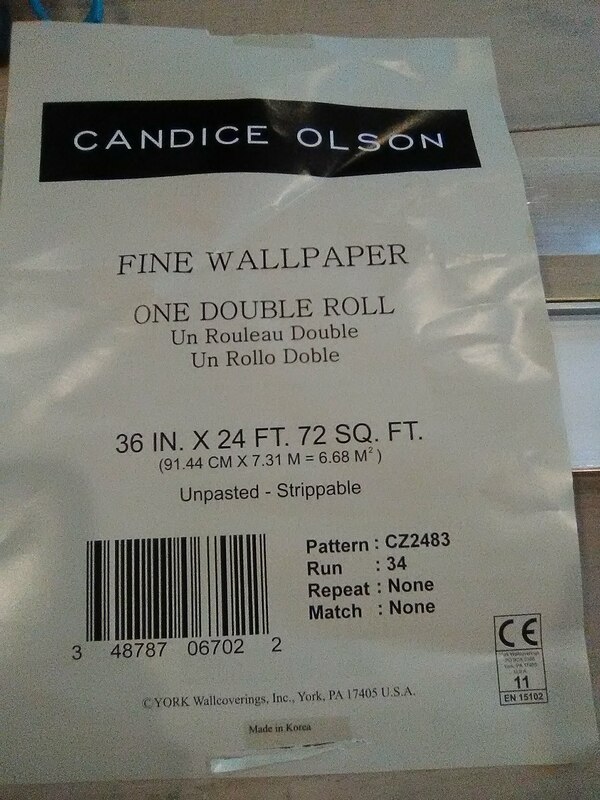 The manufacturer is York Wall, and the line is – no surprises here – Candice Olsen. All of her designs have a good dose of that glam look. The interior designer is Neal LeBouef of L Design Group. L Design is going to be featured in a spread in the July issue of Houston House & Home, showcasing another home he did in the Heights – he got to work with it from the ground up, before they even started construction. This entry was posted on May 23, 2018 at 11:41 pm and is filed under Uncategorized. You can follow any responses to this entry through the RSS 2.0 feed. You can leave a response, or trackback from your own site.